Surgical oncology is an area of medicine that is practiced by general surgeons who have undergone specialized training in cancer treatments. 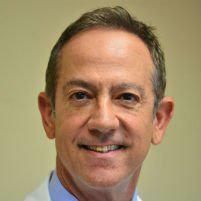 Dr. Moses Fallas offers surgical oncology services to his West Los Angeles and Beverly Hills, CA area patients. What Is the Unique Training of a General Surgeon Who Practices Surgical Oncology? A general surgeon has board certification in general surgery, while a general surgeon who also practices as a surgical oncologist has board certification along with specific training in cancer-specific surgical procedures. Surgical oncologists focus on several different types of cancer to provide the most efficient care at the highest level of expertise. How Is It Determined Whether Cancer Patients Need Surgery? The majority of people who have cancer or who have suspected cancer will need to have a biopsy. The biopsy will give the surgeon the information that they need to determine whether surgery is the right course to take. While many cancers are small enough to be removed surgically, there are cases where the removal would be too complex. In those cases, radiation therapy or chemotherapy may be effective. If the surgeon and the doctor determine that surgery is the right path to recovery, the patient will undergo testing to make sure they are a good candidate for the surgical procedure. What Type of Anesthesia Is Used in Oncology Surgery? The type of anesthesia used will depend on the patient and their specific needs. Some patients will have general anesthesia, which allows them to sleep through the entire operation. In other cases, local anesthesia that impacts only the area being operated on will be used. What Is the Recovery Process After Oncology Surgery? After oncology surgery, the recovery may differ from one patient to the next. The size of the cancer being removed, the overall health of the patient, and the length of the surgery may all have an impact on recovery time. The doctor will develop a recovery plan customized for each patient after their oncology surgery. How Can Dr. Fallas Help With Breast Disease? Dr. Fallas specializes in surgical oncology for breast cancer and, more broadly, diseases of the breasts. Breast disease can be cancerous or benign. Patients experiencing swelling, a lump, or a change in breast texture should seek medical advice. Dr. Fallas will carefully assess each individual based on health history and specific symptoms. Typical surgical procedures for breast disease include lumpectomy, ductectomy, and mastectomy.